Just the mention of “taxes” can cause stomachs to tighten, but Thursday’s Supreme Court ruling in South Dakota v Wayfair is inducing anxiety in small business owners who aren’t sure exactly how it impacts them and if they need to take any immediate action. While the case was about a specific law in a single state (South Dakota), one part of the Court’s decision throws a longstanding rule-book out the window, leaving lots of questions in its wake. South Dakota had filed a lawsuit against three online retailers that said they didn’t have to collect its sales tax because they had no physical presence in that state, a standard set by the Supreme Court in 1992 in Quill v North Dakota. The retailers were correct under Quill, but South Dakota challenged the decades-old ruling – and succeeded. The Supreme Court took the highly unusual step of overruling Quill on Thursday, meaning that a retailer who has no “physical nexus” in a state may still have “substantial nexus” and be required to collect and remit that state’s sales tax. Suddenly, it’s a whole new ball game – on page 11 of the opinion, Justice Kennedy wrote, “Physical presence is not necessary to create a substantial nexus.” Online sellers everywhere took a collective gulp: the Court’s statement was clear, but the ramifications were not. (4) is fairly related to the services the State provides. The South Dakota Supreme Court had ruled against the state because its law was in conflict with Quill, but now that Quill is dead, the United States Supreme Court said the SD court should look at the case again. 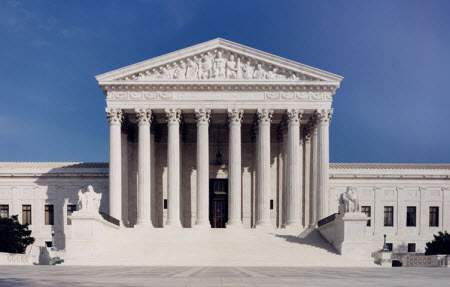 In legal parlance, the US Supreme Court “vacated” the state supreme court decision in South Dakota v Wayfair and “remanded” it (sent it back). this paints the picture of a chaotic state by state patchwork of uncertainty and litigation that could take years to resolve and could find its way back in the SCOTUS. Sellers have time for the South Dakota Supreme Court to revisit South Dakota v Wayfair – but what about other states that have similar laws? They could argue that online sellers are immediately required to collect sales tax now that Quill is dead – and those states without such laws may quickly try to enact them. But sellers rightly operating under Quill may not have been collecting state sales tax on transactions prior to June 21st – how quickly will states expect sellers to comply with the new reality? We spoke to some experts and are working on a follow-up, but don’t expect the fear, uncertainty, and doubt to disappear. The High Court sent the case back to the state supreme court to deal with. And while South Dakota’s law defines nexus as annual sales of $100,000 or 200 separate transactions, each state has created or will create its own thresholds. Note that by comparison, Congress set a bar of $20,000 and more than 200 payments when setting a threshold for Form 1099K, though that’s across the entire country. But unlike the 1099K provision, the “or” in South Dakota’s law means a seller who makes 200 sales of $20 items to South Dakota residents ($4,000) would have to collect sales tax from them and remit the tax to the state. In a high-population state, that would impact many small sellers. While sales tax doesn’t come out of the seller’s pocket (they collect it from the buyer) – the cost of complying can be steep in terms of both time and money. Should sellers feel comforted knowing they can rely on software or Congress? Stay tuned for our next piece where we’ll have more on what the experts had to say, and in the meantime, leave a comment on the AuctionBytes Blog. Next Next post: With Quill Protection Gone, What Should Online Sellers Do? I just spent the better part of a couple of hours checking sales for South Dakota. In the past 5 years we have had a total of 123 sales. I would hardly think South Dakota is going to be a problem. I think the real problem is going to be when Ebay inflicts their noses into this and starts collecting the taxes from the buyers and remits them to the states. I for one would never trust Ebay to remit anything to the states. But also think that Ebay will see this as a windfall for the bottom line. I’m willing to bet they will figure out a way to start charging for collecting the taxes. In fact I would think within 90 days Ebay will start with South Dakota. Just another money grab for their bottom line. It is UNLAWFUL to lay or collect sales tax on articles / items sold over a state line. There has been NO LAWFUL undertaking to amend the Constitution. Therefore, there is NO imperative to collect this illegal tax, lest you be imprisoned for willful contempt. Only unwitting dupes will comply. Hopefully sites like Shopify, Square Space and Etsy figure out how to collect it and then redistribute it themselves. Sellers in Washington state have a real nightmare since they must figure out the sales tax for each and every city and collect and remit different tax % for each one. They’re going about this backwards. Each business online or Brick-and-mortar should collect sales tax on ALL SALES and pay sales tax TO THEIR OWN STATE ONLY. ‘Leveling the playing field’ they way they intend to do it would mean having every brick-and-mortar business check each customer’s ID at checkout and sending sales tax to that person’s state. Then it would be the same. If someone who lives in southern Indiana shops at a wal-mart across the Ohio river in Louisville KY, the wal-mart does not pay any tax to Indiana even though that person is taking his purchases back to his home. If he buys online from ‘Dave’s Widget Store’ that is NEXT TO that SAME wal-mart in Louisville, why should Dave’s Widget Store have to pay sales tax to Indiana? (Especially if the sale was online, but the customer picks it up himself!) Dave should pay the sales tax to his state of Kentucky like the wal-mart does! THAT WOULD LEVEL THE PLAYING FIELD. In either case, the customer is ‘visiting’ a store in Louisville. Dave’s online store is not ‘visiting’ the customer anymore than wal-mart is. If each store in the U.S. paid sales tax ON ALL SALES to the STATE IT RESIDES IN, that would be fair. Then all the states would get lots more sales taxes and the burden on small businesses would be eliminated. “But then little towns in South Dakota wouldn’t get any sales tax at all, because they don’t have any businesses.” – Too bad. They need to generate local businesses. Each state could divide it’s own sales tax revenue up to all their own towns according to population/size/whatever. Those small towns aren’t getting sales tax from the nearest wal-mart in the next town, why should they get it from a business online from that same town? If the states want to collect online sales tax, they should do it to the businesses in their state and they should have to do the labor of dividing the loot among their own towns. The easiest way to collect sales tax for everyone is for each online business to collect sales tax on EVERY sale, in or out of state, then pay it to THEIR OWN LOCAL CITY/STATE. Then if a state like South Dakota isn’t getting enough sales tax, they need to create a better business environment to encourage more local business and not just mooch off other states’ small businesses. If South Dakota doesn’t have any decent furniture stores, and their residents DRIVE to another state to buy furniture, they don’t expect sales tax in that scenario. Encourage local business. Get good furniture companies to move in.